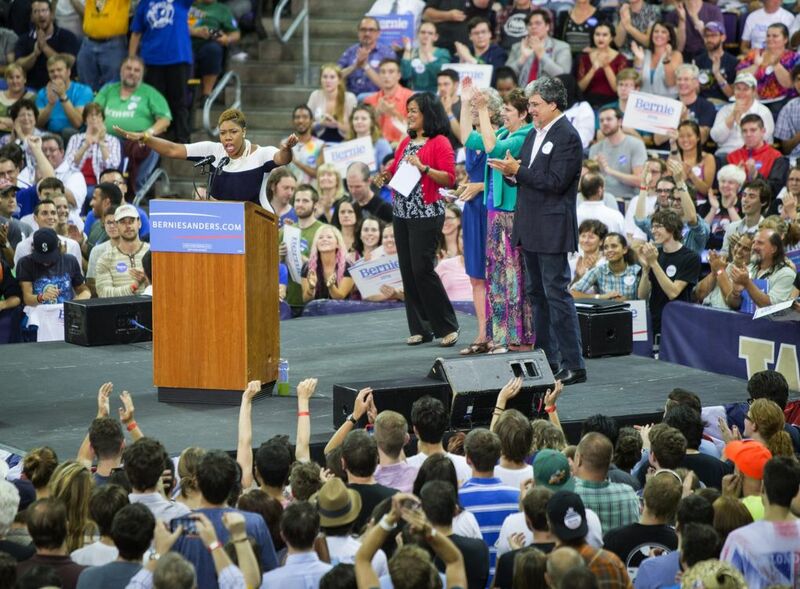 Black Lives Matter protesters prevented the Democratic presidential candidate from speaking Saturday afternoon at Westlake. 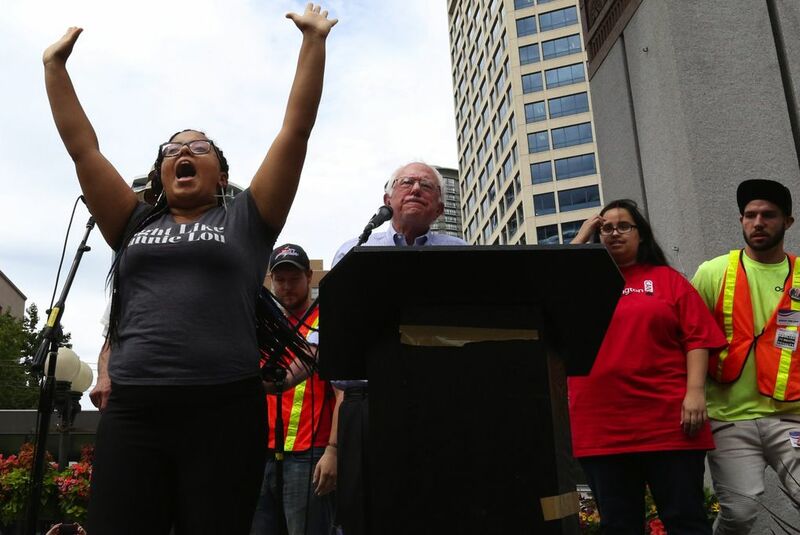 A Seattle speech by Democratic presidential candidate Bernie Sanders was pre-empted in a chaotic confrontation Saturday afternoon with a pair of Black Lives Matter protesters, who took the stage and refused to let him speak. 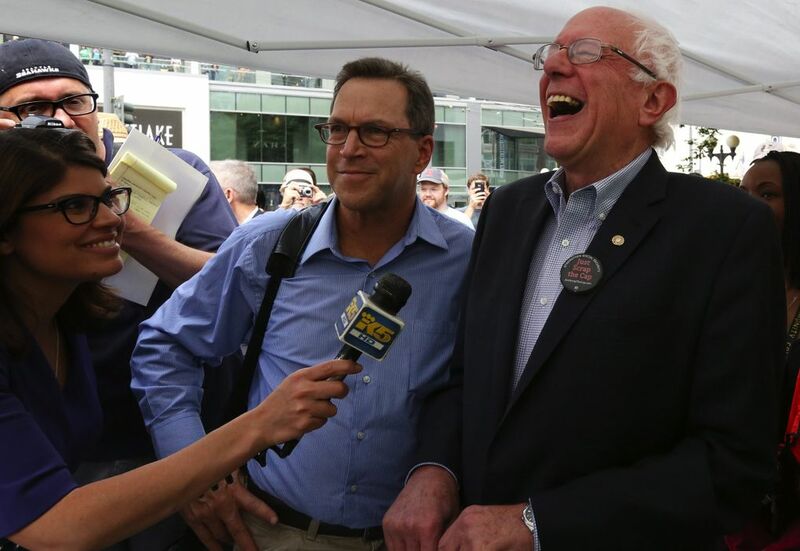 The Vermont senator, who has drawn huge crowds around the country, was to be the star attraction and final speaker for a rally at Westlake Park to celebrate the 80th birthday of Social Security and the success of other anti-poverty programs. 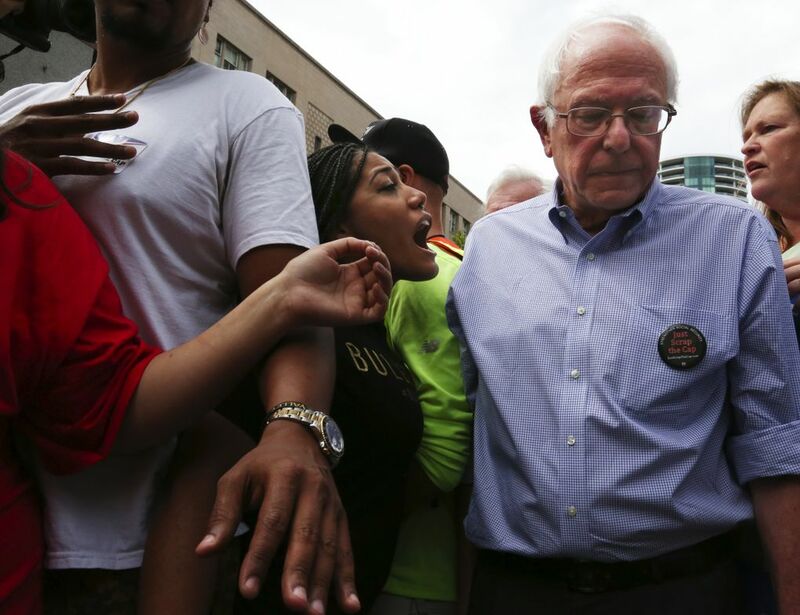 Should protesters have interrupted Bernie Sanders at a rally? 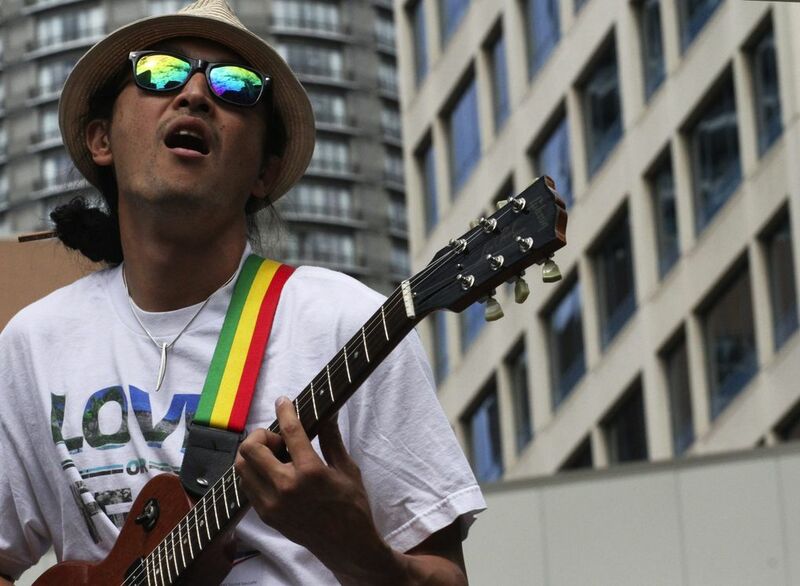 But his afternoon plans were scuttled by protesters determined to turn attention instead to Sunday’s anniversary of the shooting by a white police officer of Michael Brown, an unarmed black man in Ferguson, Mo. 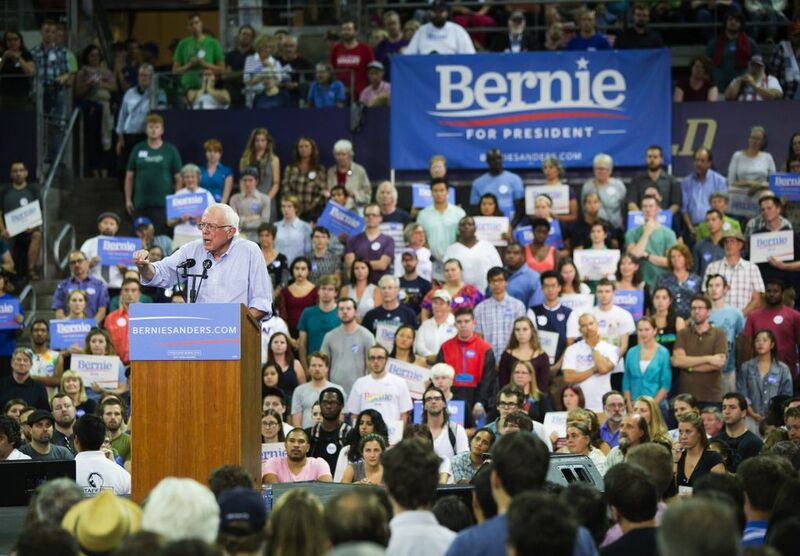 Later in the evening, Sanders received the reception he’d expected from the Seattle area as the progressive alternative to Democratic presidential front-runner Hillary Rodham Clinton. 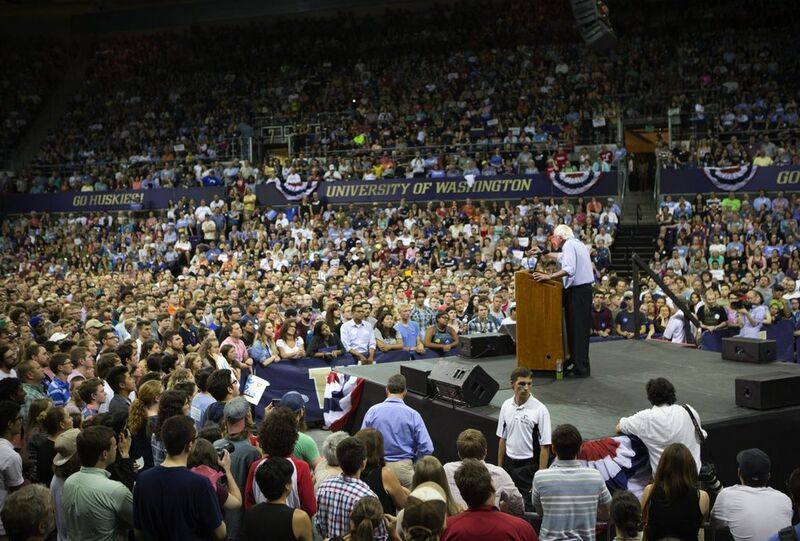 An estimated 15,000 supporters packed Hec Edmundson Pavilion and an overflow area as Sanders took the stage to thunderous applause and delivered an hourlong populist stemwinder about his plans to wrest the country from the control of billionaires. 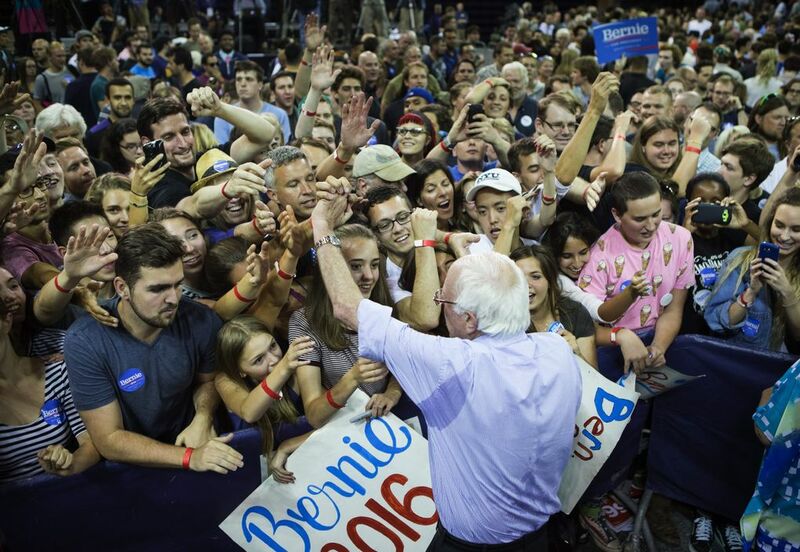 As the crowd stomped and cheered, Sanders pledged to fight for a full menu of progressive policies, including 12 weeks of paid leave for new parents, a federal minimum wage of $15 an hour, and an end to unequal pay for women. That’s as far as he got before two women walked onstage and grabbed the microphone. “If you do not listen … your event will be shut down,” one of the protesters told organizers, who offered to let them speak after Sanders. 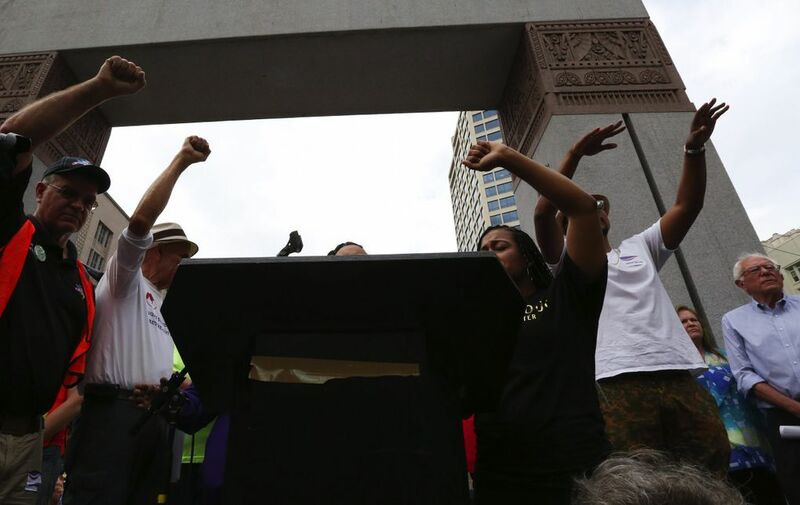 After a back and forth with the screaming protesters, organizers relented and said the demonstrators could go first. Some in the largely white audience booed and chanted for protesters to let the senator talk. A few yelled for police to make arrests. The activists demanded 4½ minutes of silence in memory of Brown, to symbolize the 4½ hours his body lay on a Ferguson street. 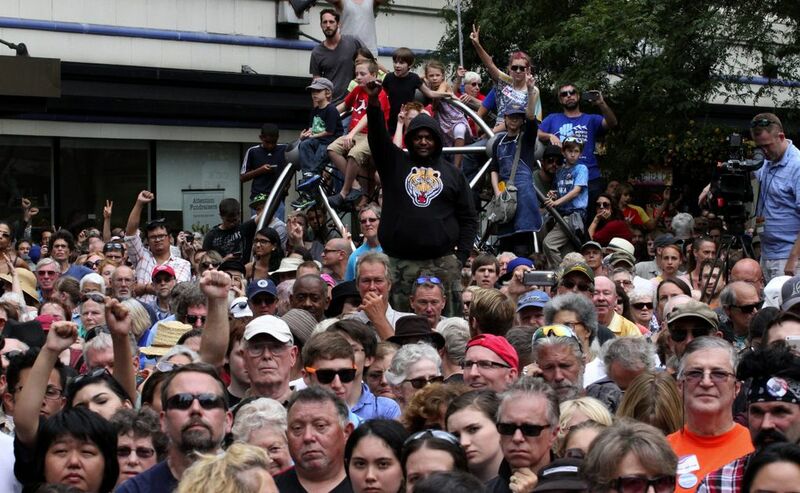 While rally organizers raised their hands in support, some in the crowd yelled profanities. 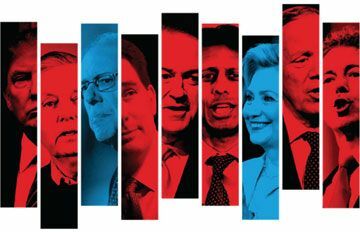 Quiz: How many of the 2016 presidential candidates can you name? Are you good with names at parties? Because we've got a lot of names and two parties here. 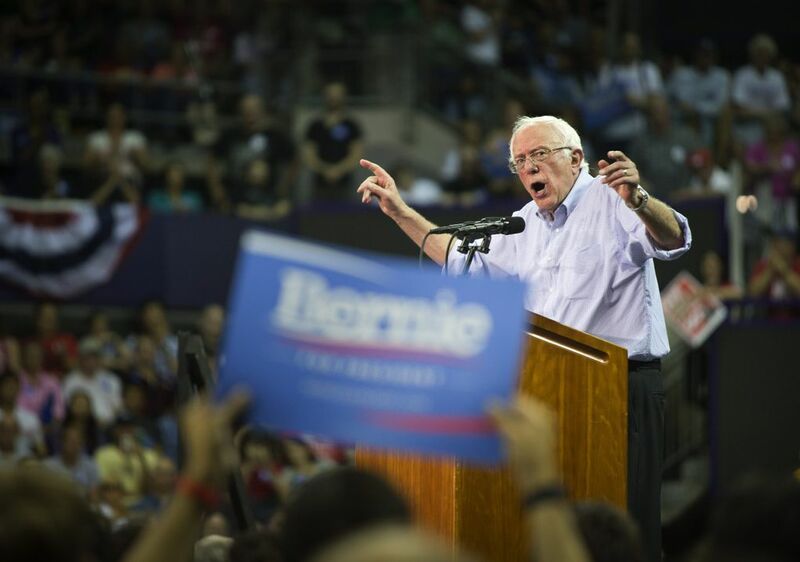 After the few minutes of silence, the protesters said they wanted to confront Sanders for failing to address their concerns when he was similarly interrupted at a town hall for liberal activists in Phoenix last month. 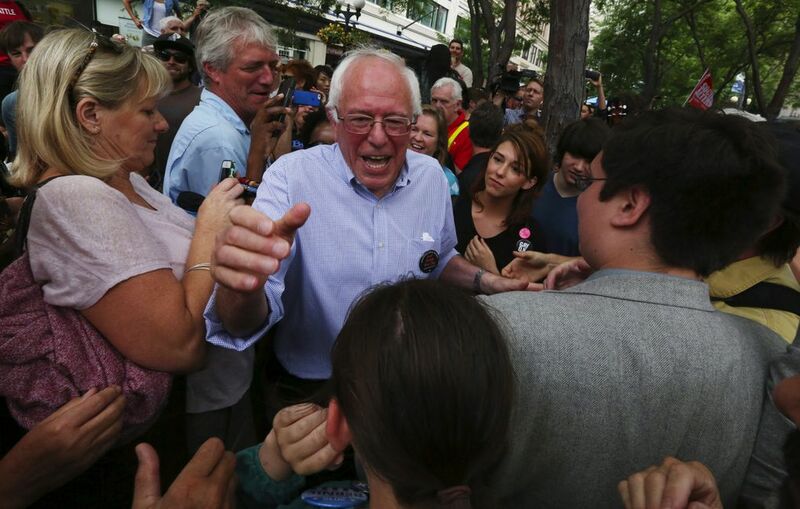 Johnson beckoned Sanders to stand closer as she spoke — he refused. 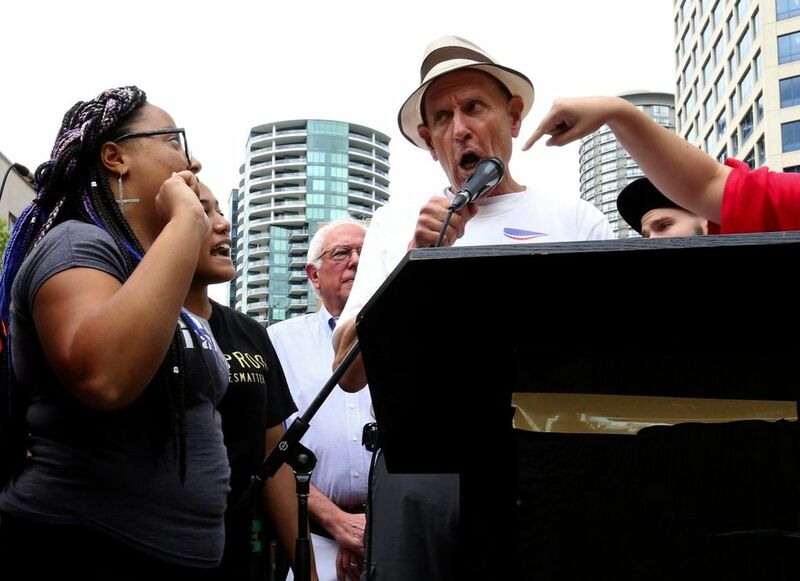 The Westlake protesters would not let Sanders take the microphone, prompting rally organizer Robby Stern to say the event was over because the demonstrators were determined to stop it. 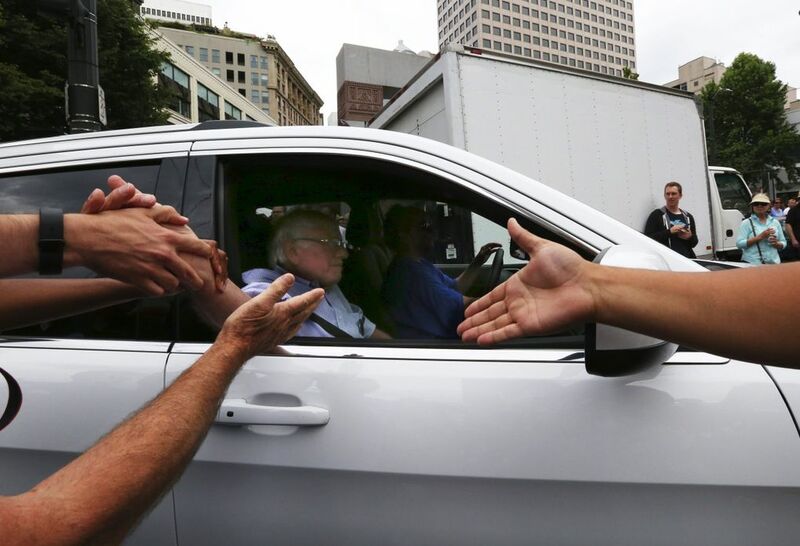 Sanders left the stage and walked through the crowd, greeting supporters, before leaving in a white Jeep for a fundraiser at the Comet Tavern on Capitol Hill. 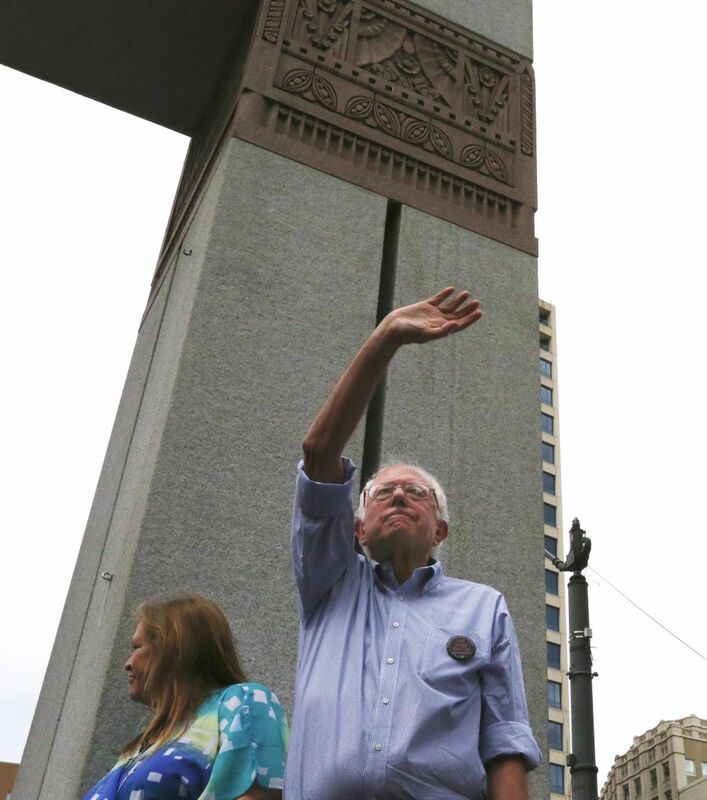 At the Comet, reporters were barred, but Sanders could be heard by a crowd watching outside through open windows. 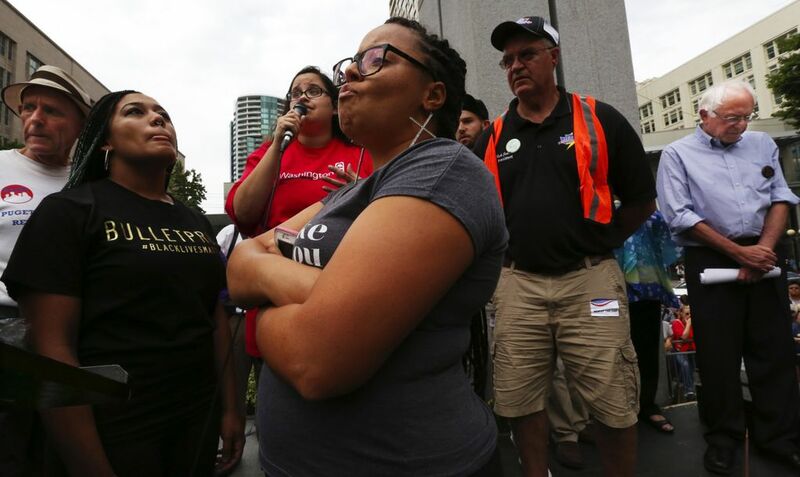 In a news release posted on social media, local Black Lives Matter activists said they were holding Sanders and other white progressives accountable for failing to support their movement. 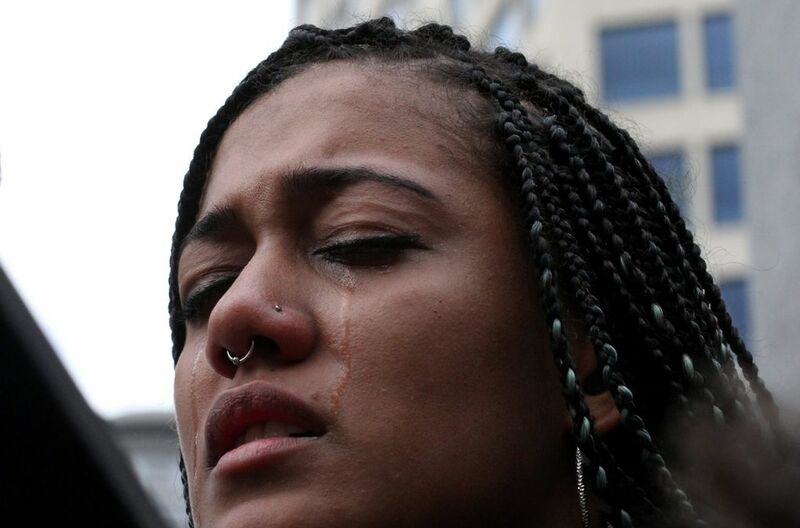 Activists with the movement have shut down Seattle streets and local events before, arguing such direct action is needed to shake people out of complacency over the deaths of black men and women at the hands of police. In December, they disrupted a Christmas tree-lighting ceremony at Westlake. 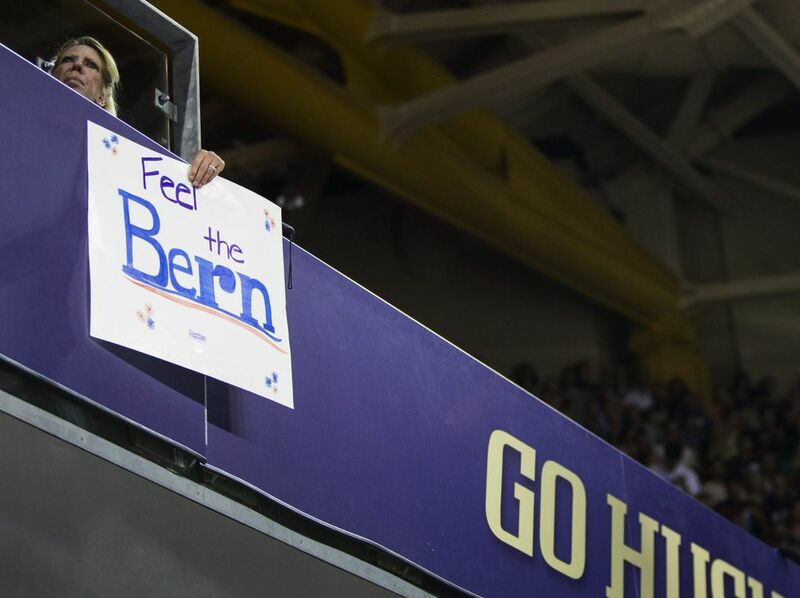 Some Sanders supporters were chagrined at the way his speech was cut off and said the protesters hurt their own cause. 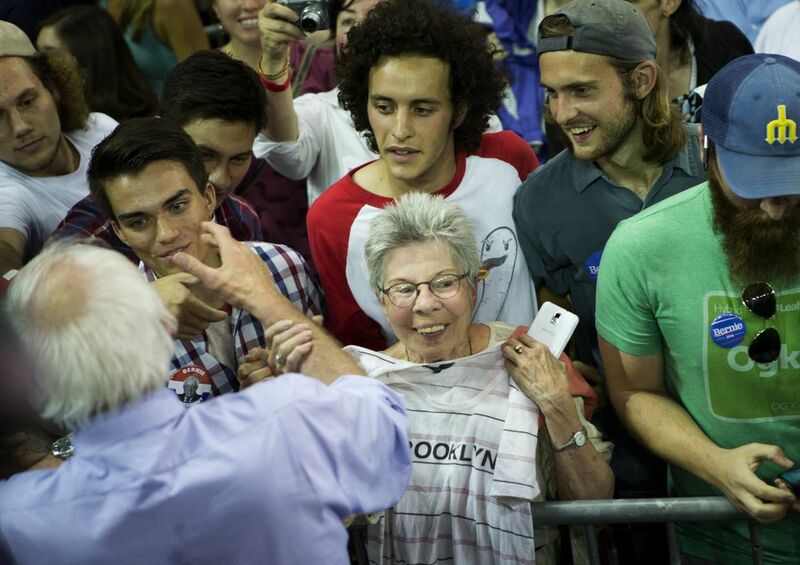 “Why would they pick Bernie Sanders to do this to? 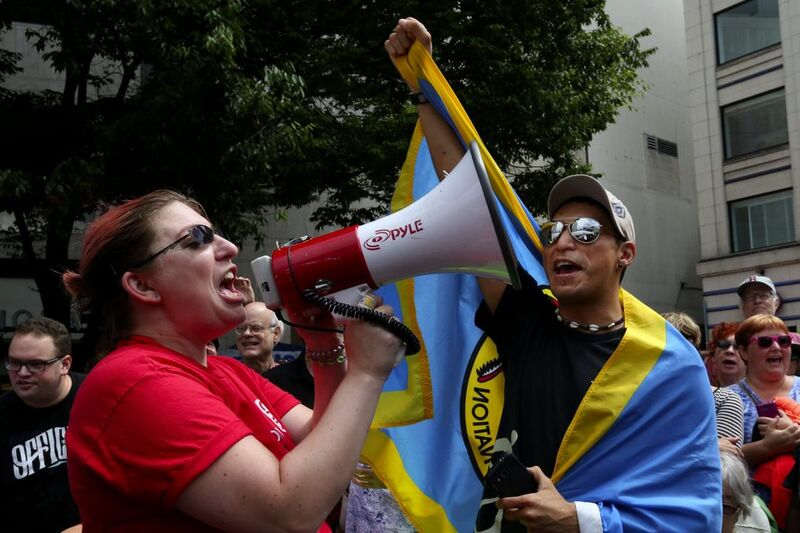 He has stuck up for civil rights,” said Diane Jerich-Domin, of Port Ludlow, Jefferson County, who added that she had attended Black Lives Matter protests after Ferguson. This video contains language that some viewers may find offensive. This video contains language that some viewers may find offensive. Video courtesy of Adam Ward. At the UW event, 12,000 supporters flooded the arena and 3,000 more were in the overflow crowd outside, the fire marshal said. Lynn Bloss, 70, said she’d been aware of Sanders for a long time, but only recently became a big supporter as he seeks the presidency. She has a disabled son, so Sanders’ support for expanding health care and education are particularly important to her and her husband. 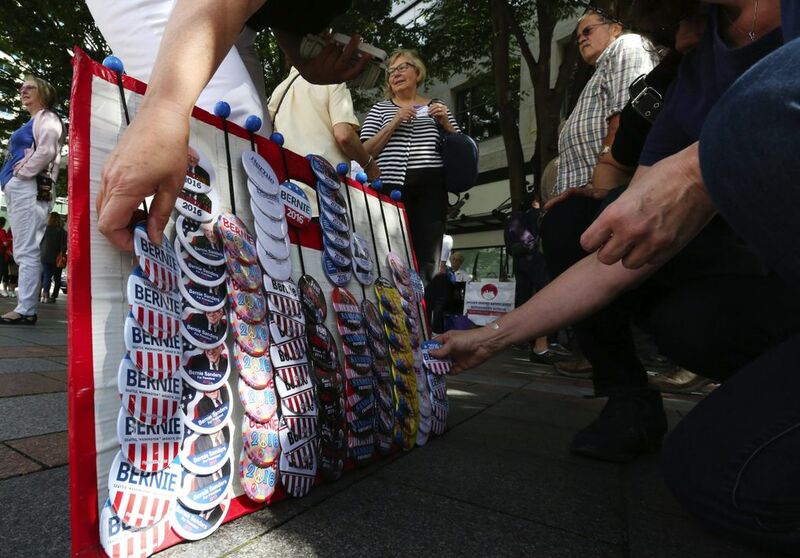 A self-proclaimed democratic socialist, the independent senator, 73, had been expecting a warm welcome in Seattle, known for its liberal politics. 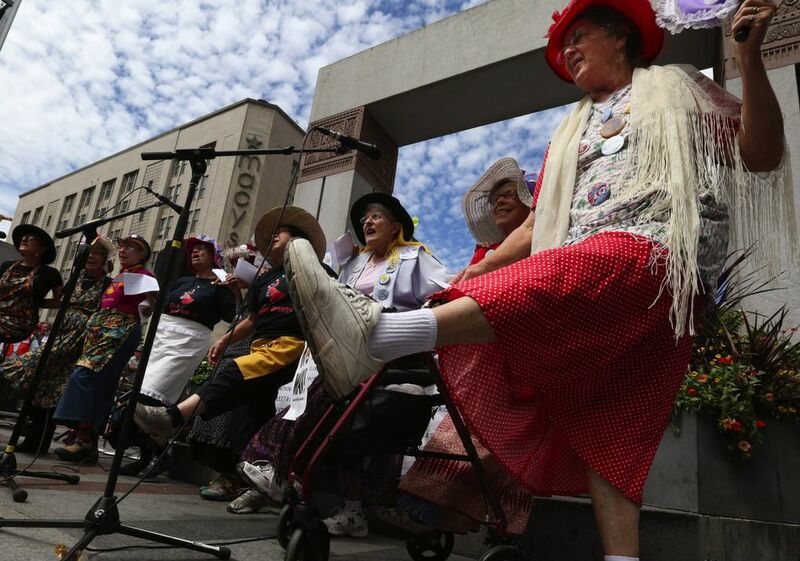 A few thousand had gathered at Westlake for the 1 p.m. event, which featured hours of speeches from local activists and politicians in favor of protecting and expanding Social Security, Medicare and other programs that have kept millions out of poverty. 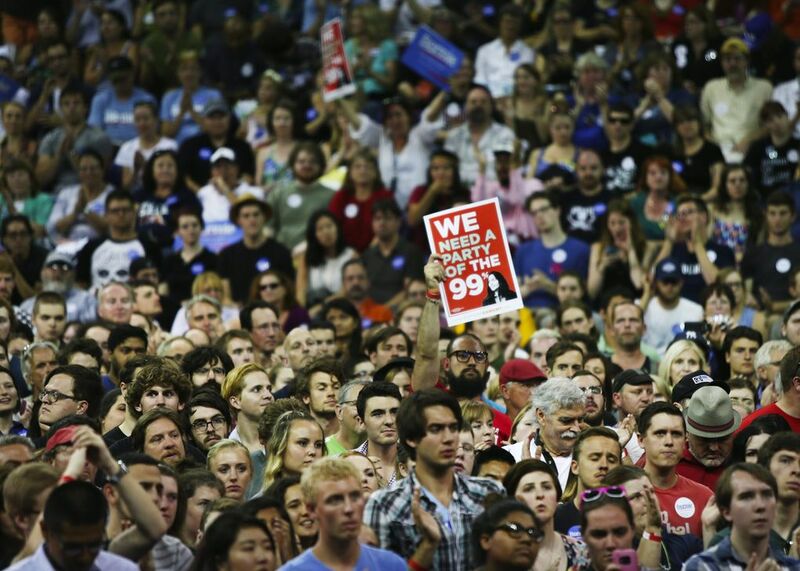 Before the ending disruption, the event had a celebratory air, with musical acts and a crowd united in chanting to “Scrap the Cap” — referring to a proposal to tax rich people on all their earnings instead of just the first $118,500, to protect and expand Social Security. Stern, the longtime local labor activist who emceed the rally, said while it was “a very disappointing ending, the program itself was fantastic” and got out the message of the importance of preserving and expanding Social Security. 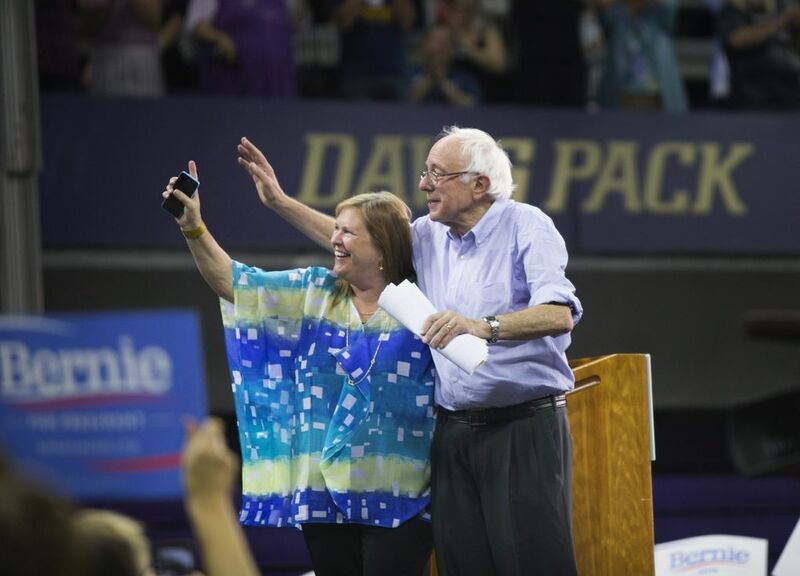 Sanders’ visit was part of a West Coast swing. 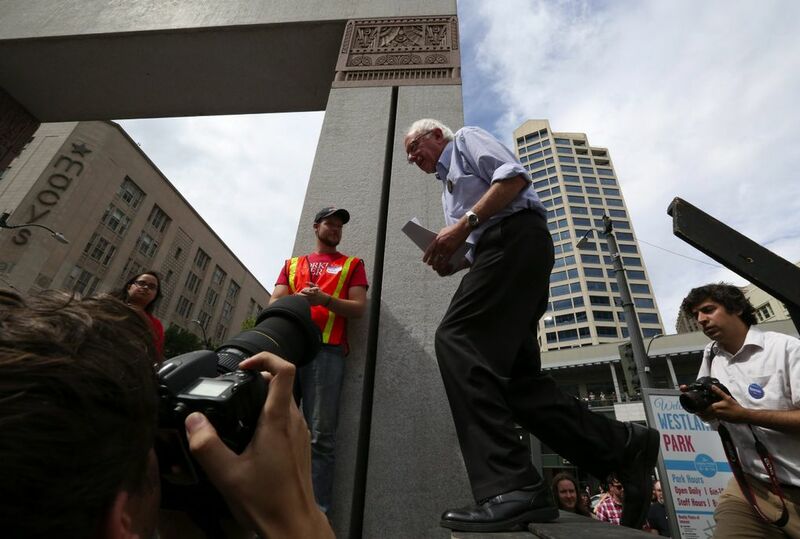 He is scheduled to speak in Portland on Sunday and in Los Angeles on Monday.